Contrasting fabric on the outside of the chair and the antiqued brown exposed wood frame and small black nailhead trim offers this accent chair in poly linen fabric a deconstructed look that is very much in style. Sophisticated yet relaxed, make a statement in your decor with this chair. 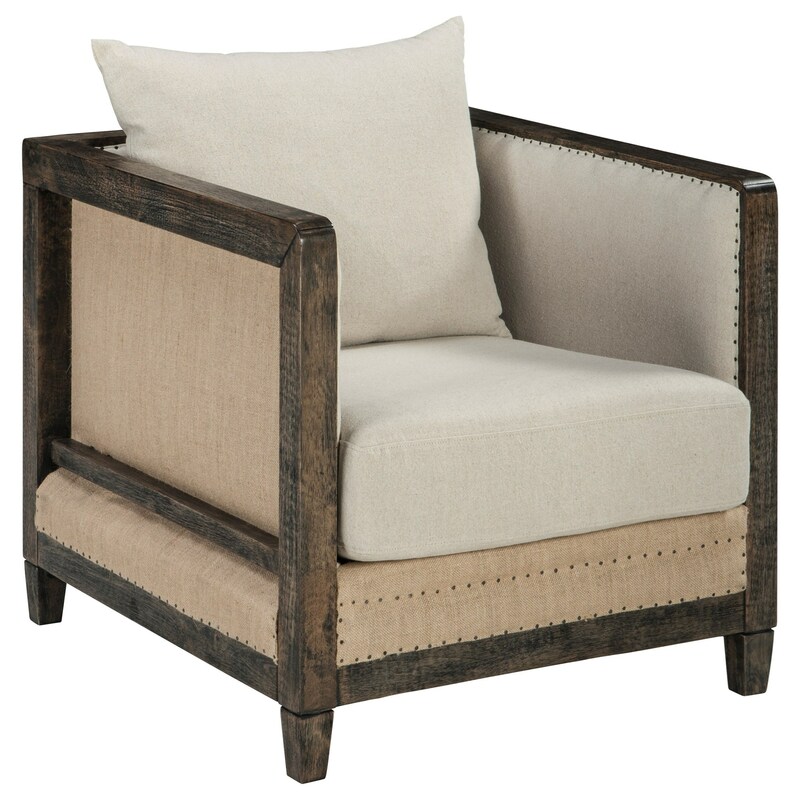 The Copeland Deconstructed Style Linen Fabric Accent Chair with Wood Frame by Signature Design by Ashley at Value City Furniture in the New Jersey, NJ, Staten Island, Hoboken area. Product availability may vary. Contact us for the most current availability on this product. Fabric Content Upholstered in a poly linen fabric in Natural on the inside and textured rustic fabric on the outside.